SketchUp allows the user to apply different materials to the Front and the Back of a surface. 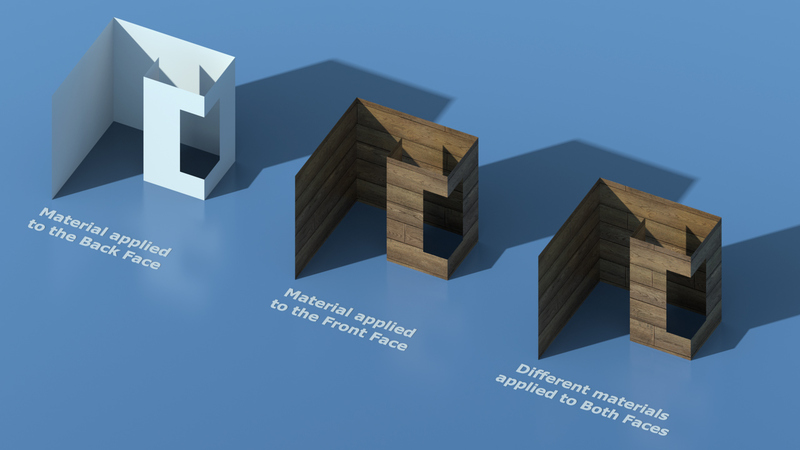 Thea for SketchUp can use just a single material and reacts differently, based on how the materials have been applied to a surface in SketchUp. In Image 1, we can see both faces of the model at the same time. White is being used to display the front face and green for the back. In this situation, Thea will use the Back material for the front face too. Thea will ignore the material that has been applied to the back surface and use the front material for both. 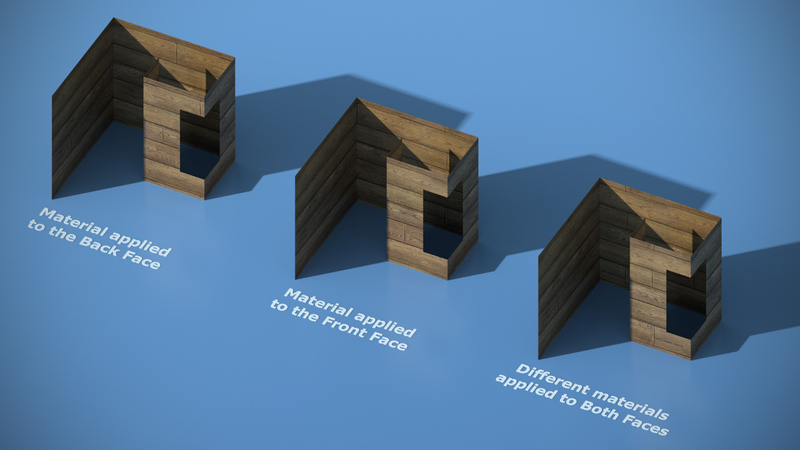 The following image shows what will happen when the material has been applied to the back face, the front is absent and the ‘Use back face material when front is absent’ option has been disabled. In this case, Thea will use the default white material for both faces.